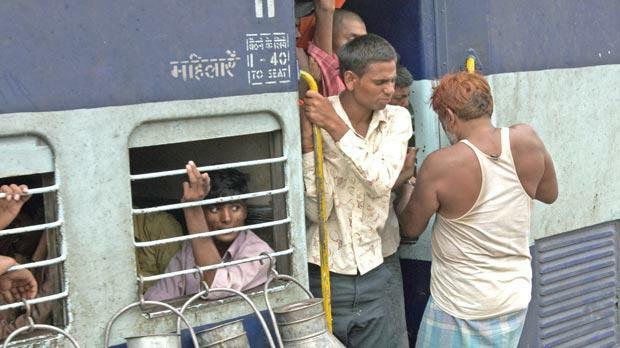 Getting a seat in an air-conditioned carriage in India is a far from straightforward task. Throngs of people can be glimpsed through the metal bars that constitute windows. Ladyboys, snake charmers, suspicious poos and men who like to watch you sleep... Stephen Bailey discovers there’s never a dull moment when travelling by train in India. One side of the general class compartment offers an unnerving smell of urine and a sea of scowls. There is some space on the mouldering floor but I can’t soften their glares. The other side appears more jovial, the passengers are younger and they invite me inside. Rotting peanut shells and men lying on flattened cardboard boxes cover the floor. Stepping over the slumbering bodies I reach a wooden bench, barely two metres across. Five people squeeze together, squashing their bodies to give me space on the corner. Only my left bum cheek fits on. My feet rest on other peoples’ luggage. It’s midnight and my destination is over 800km away. This will be home for the next 14 hours. 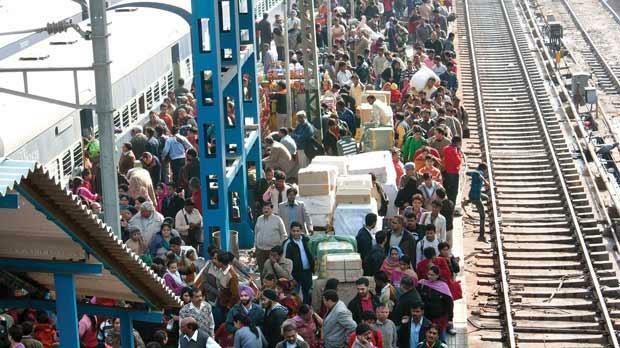 I had anticipated the railway would be one of the most comfortable ways to travel in India. Watching the towns pass by from an air-conditioned carriage, waking to the sunrise over a jungle landscape, discussing the cricket with a cheerful conductor. But the booking system was obscure and made impulsive travel difficult. The air-conditioned carriages were booked up weeks in advance. I always ended up on a waiting list, arriving at the station with no idea whether I would get on the train. Things had gone well so far, more by luck than good judgement, and a conductor had always directed me to a bed with nice clean sheets and a fluffy pillow. But it was festival time and hundreds of people were scouring the train for an empty bed, hopeful that they wouldn’t be the ones in general class. How do you offer a bribe? Apparently a little underhand money could persuade the conductor to find you a bed. Crumping a hidden note into a handshake? Suggesting a price? Accidently dropping your wallet and revealing the money inside? I didn’t have a clue. But somebody clearly knew how to do it. I had started as waitlist 14 and as the train prepared to rumble off I was waitlist 19. I approached the conductor, tried to pull off the innocent-foreigner-needs-help look. This guy was huge, the podgiest Indian I’d seen; he must take bribes, surely, but he pointed sympathetically to the general class compartment. I could see the throng of people through the metal bars that constituted windows and sensed the madness awaiting me inside. Immediately after taking my perch I’m mobbed by questions. Everyone wants to know how many girlfriends I had, how they could get a visa for Europe, and what I think of their India. It was always their India. Men peer over shoulders and sit on knees so they can get closer. Nobody is patient, the questions flying at me from different angles. One man intervenes. He asks for calm and sets up a queuing system for questions, his ability to translate gaining him respect. Yogesh is young and effeminate, a hairless narrow face, black hair that hangs down to his shoulders. Learning English by watching illegally downloaded US drama series, this is the first time he has been able to practise with a foreigner. I’m grateful for his intervention. It’s past 3 a.m. when I pass out from exhaustion, Yogesh giving up his own space on the bench so I have more room and watching over me with an almost creepy fascination. I wake early, before 7, as the sunlight begins to illuminate the carriage in all its dissolute glory. An elongated human poo is decorating the bathroom floor. First come the ladyboys; no question about whether she was a he or a she – these are men in dresses. They run on, slapping any man still asleep and demanding payment to leave them alone. Everyone searches for change but I resist. If you gave money to each one you would spend more on ladyboys than you did on the train fare. Then, as I tuck into a 15 cent portion of potato curry, the snake charmers arrive. One settles into a metronomic rhythm with his flute, the other carries a wicker box through the carriage, eyes firmly focused on me. The tone quickly rises and as a sharp high shrill is emitted the cobra rises to attention. I’m flustered. I’ve nothing but big notes in my wallet as I’ve spent all my change on snack food. Snake charmers won’t give change. But we’re in it all together and the Indians around me start shouting at the charmers, imploring them to leave me alone. The snake turns to receive instructions and after a seemingly never-ending silence they slope off to another victim. We laugh and joke, chat without inhibition or the impetuousness of last night. My back aches, my knee joints throb, my whole body smells repulsive. I’m tired and sticky with sweat. But I feel immensely comfortable. Everyone wants photos with me, a memory of this journey with a strange foreigner, and they say I’m now their very good friend. As the time begins to fly I don’t want to get off the train. I’m surrounded by the most genuine of people I’d met in the whole of India. I decide in future I won’t worry about air-conditioning and a bed. I’ll just rock up and find a perch in general class.